The P25 evolution takes a giant leap with Icom’s new F7000 series, offering you more options, better pricing and top quality. 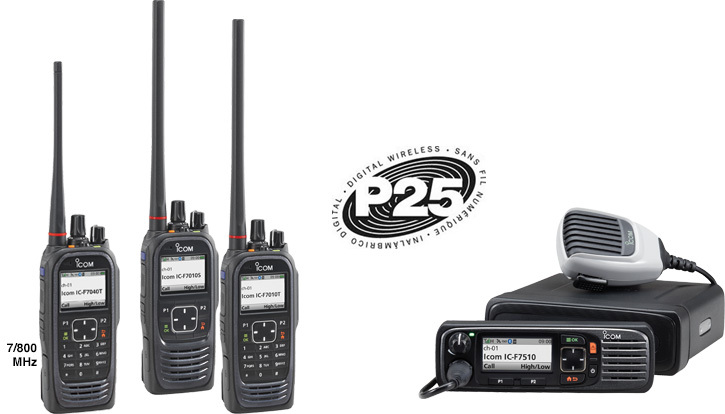 The P25 standard is always advancing, and Icom’s 3rd generation of this product not only captures the essentials, but offers extended features as well. The new series comes with impressive features, packed in a new, intuitive design. Now offering 7/800MHz. Icom is building an entire line of P25 radios, and this series will be a new addition to the family.